The journey to shared success for Ned (Edward) Morris ’93 and Ben Von Doussa ’93 began in the Iona College pool. Recruited to play water polo, they became co-captains, roommates and good friends. After graduation, Ben returned to his hometown of Adelaide, Australia, and Ned went along for the adventure. There they discovered another shared interest — wine. Ned began working in restaurants and training as a sommelier at Penfolds McGill Estate in Adelaide, one of the most respected wine education institutions in the world. Ben, also following his interest in wine, wanted to travel, so he gravitated toward the sales and distribution side of the industry. Eventually both made their way back to the states, Ben to New Jersey and Ned to Washington. Ben established himself as a leader in the wine industry, first as vice president of sales for Robert Oatley Vineyards and currently as vice president USA of Fowles Wine, a family-owned vineyard in Australia and the first Victorian winery to win the Great Australian Shiraz Challenge trophy. Ned went on to earn a master’s degree in Food Chemistry from Oregon State, then began working as a cellar hand and worked his way up to winemaker at àMaurice Cellars. 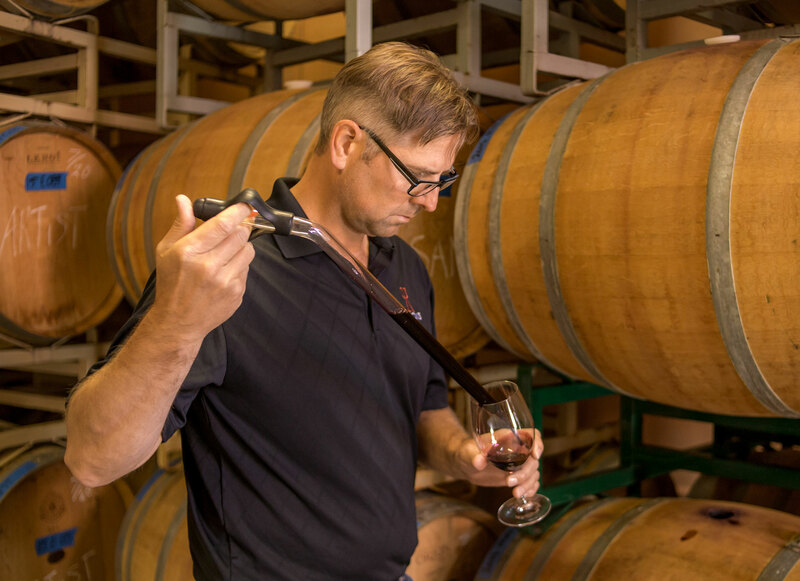 He learned all the facets of winemaking while working with large-volume winemakers such as Double Canyon and Canoe Ridge. But ultimately Ned wanted to showcase his skills and establish his unique style of winemaking by creating his own complex, yet balanced and food-friendly wines. Currently, the Reasons label has three wines — the 2014 Cabernet Sauvignon, 2015 Red Excuses and 2016 White Lies. “We produce 1,300 cases of handcrafted wines. But we plan on growing the business to about 5,000 cases over the next 24 months,” said Ben. To sum up their journey thus far, Ben shared something his father said to him: “49% of your success is what you do; 51% is who you do it with.” This friendship, like a good wine, continues to get better with age. The biggest risk in life is not taking one. Adapt and change. Part of the dream for Ned includes his humanitarian work with ShelterBox, an international disaster relief charity that provides temporary shelter and life-saving supplies to displaced families. Ned trained for over a year to become a ShelterBox volunteer. In February 2018, Ned traveled to the Caribbean to assist victims of hurricanes Irma and Maria.